Hi and welcome back to my ramblings :) After my post about redoing a study space, I got to thinking about how not all apartments come with desks. My 1L year I technically had a desk but it was in a little corner and I ended up spending most of my time studying in bed. 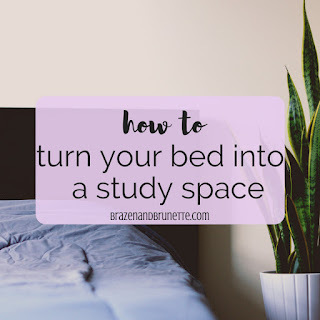 So today I figured I'd write a little post with some ideas for those of you who either have no desk or who prefer to study in bed— this one's for you! This is the first thing you'll for sure need! I got one of these pillow lap desks for my high school graduation and I still use it all the time! You can use it while in bed or even on the coach to hold your laptop and it's great because it'll keep your laptop from burning your thighs. This is actually better for your laptop too because it allows it to ventilate which keeps it from dying on you. 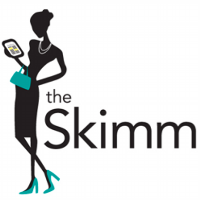 I mention this all the time because my life has truly been revolutionized since I got one! If your lap desk is big enough, you can use it to prop up your book beside your laptop. And if your lap desk isn't big enough for this then no worries because you can just set it up on your night stand and look over at it. Just a warning it doesn't really work on super soft surfaces so if you just try to set it up on your bed, it's going to keep falling over. This is the book stand I have and I personally prefer how it folds because not only does it mean it fits perfectly in my backpack but also I can adjust the arms to be wider for super thick books or bring them in for smaller books and then it's a one size fits all. This reading pillow is one of the first things that I bought for myself once I started studying in bed all the time. It's way better than just piling up a bunch of pillows because eventually those will start falling apart so you'll be constantly stopping to fix them. Plus, I really like having the little arm rests for when I'm typing. And for lazy days bingewatching in bed, this is absolutely perfect. I also got a bedside caddy in college that I keep my remotes in by my bed when I'm watching TV, but it's also really great to store all your 50 pens and highlighters so you aren't accidentally coloring on your sheets. I actually got this outlet for study abroad because I thought it'd be easier to just run one plug through the adapter. Turns out I was wrong about that, but I've definitely got a lot of use out of it back here. It's great because it swivels so you can turn it horizontally and have room to plug in your laptop and phone and iPad and lamp. The swivel part really is more handy than you'd expect. Plus it actually has two USB ports on top of it so I have my phone charger in one and my watch charger in the other and still have 4 empty outlets! This is really handy because one of the worst things when you're all set up in bed and then have to go move your night stand to unplug your lamp just so your laptop and phone won't both die at the same time. This lamp is actually something that I originally included in that study space redo post, but it really works just as well here. The worst part about studying in bed is when you get so comfy that you just slowly start to fall asleep while trying to study. What you want is a lamp that can be bright when you need to keep yourself awake (cool white mode) but then can dim down for when you're not studying and don't want something waking you up right as you're going to sleep (warm yellow mode). Extra helpful if you get an echo dot so that you if you do start to fall asleep, you won't have to sit up to turn off your lamp. And that's all I need! 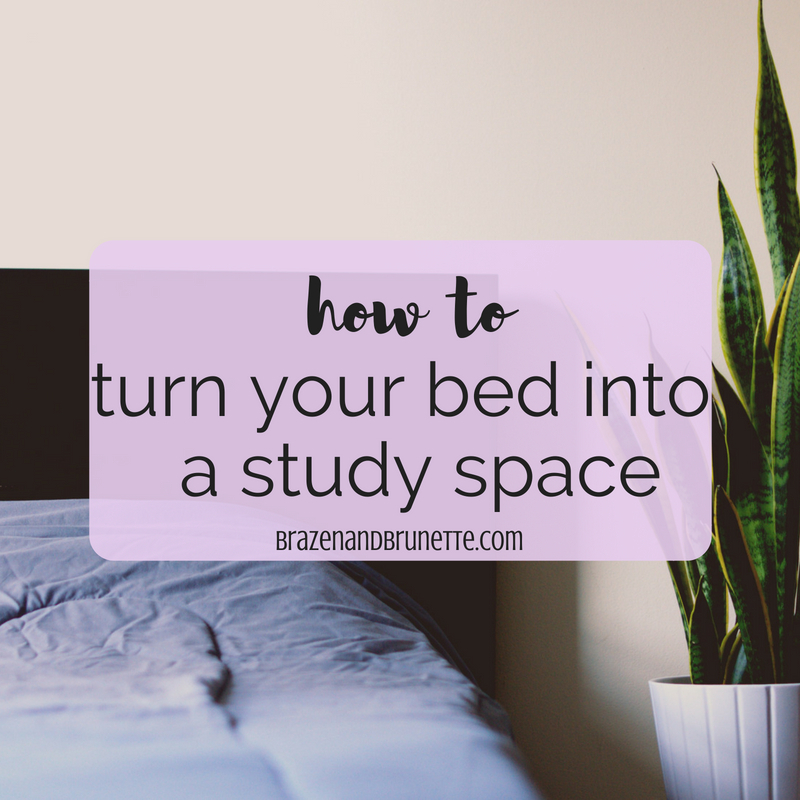 Comment below and let me know if you have anything that you love to have with you when you're studying in bed!! Would you be able to recommend me any ergonomically designed lap desk? I have a sever muscle spasm problem and most regular desks does not help.